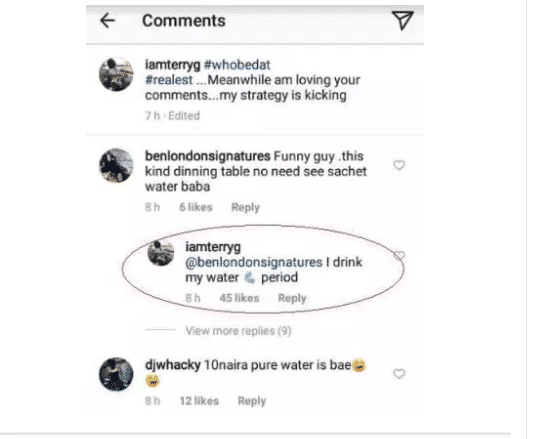 Popular Nigeria singer, Terry G recently gave a savage response to a troll who mocked him for having sachet water on his dinning table. 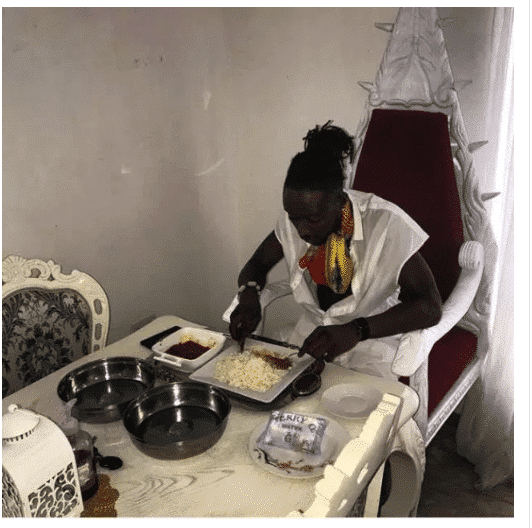 The singer had shared a photo of himself lounging and having a meal like a boss that he is but came under attack by a follower who wouldn’t condole a celebrity drinking sachet water. Some fans also pointed that he could easily have bought a bottle of table water but chose to drink but decided to drink “purewater” instead. 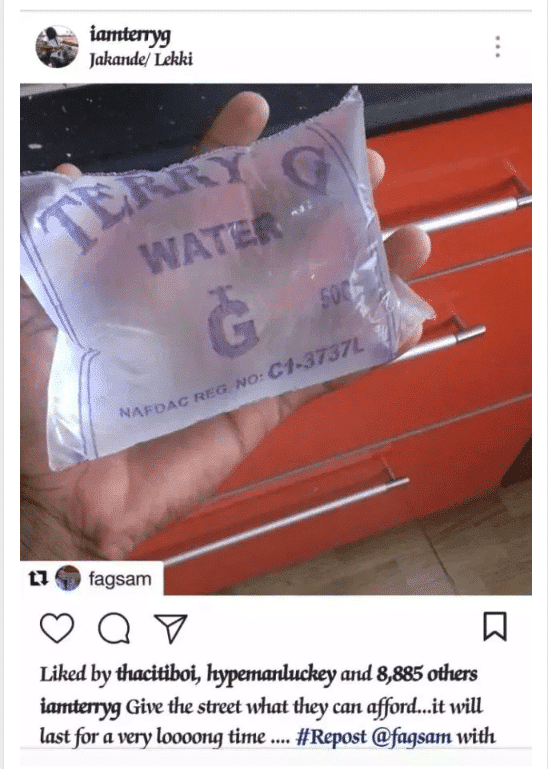 Terry G in his response took advantage of the troll to pull a publicity stunt as it turned out the water is a Terry G product. Terry G : I drink my water, period. In Nigeria do we have clean water safe for human consumption coming from our TAPS? ?